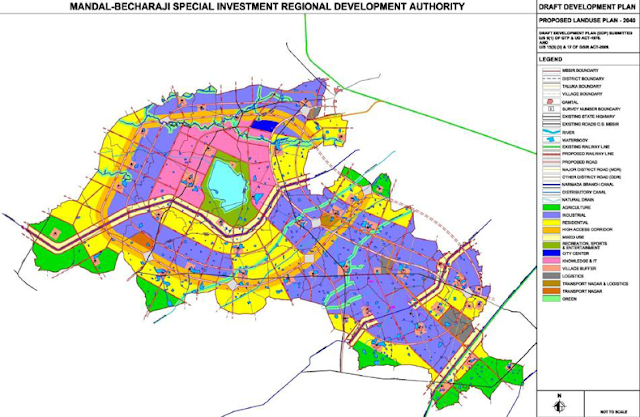 Mandal Becharaji special investment region in Gujarat is witnessing increasing demand for land as real estate developers trying hard to build a land bank in the region. Builders are trying to create a land bank in the area, as demand for real estate was likely to rise considerably in the coming years due to Maruti's upcoming plant in Gujarat. Maruti Suzuki, India’s largest passenger car maker, India had chosen Hansalpur, about 110 km from Ahmedabad, as the location for setting up a manufacturing plant. Demand for apartments is likely to rise once the Maruti plant starts functioning, as its vendors would bring professionals into the area. Prices of land parcels have already gone up substantially since the company announced it's plans to setup a plant Hansalpur. From Rs 5.5-6 lakh a bigha (0.4 acres) earlier, prices rose to about Rs 10 lakh a bigha around mid-2012. Currently, these stand at Rs 20-25 lakh a bigha in and around Hansalpur and Sitapur.